The young Lord MacDivitt is, beyond a shadow of a doubt, the best-trimmed lord in the realm. Notice (and how could one not?) 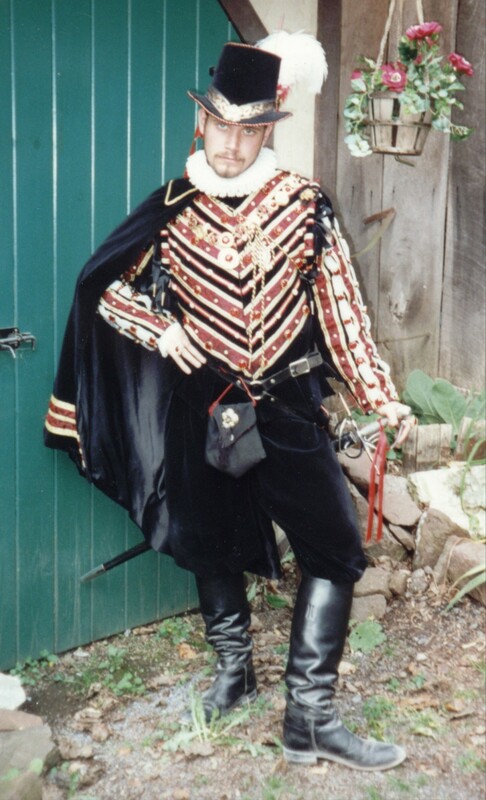 his highly decorated doublet, complete with sleeves. The cape and pants are of unadorned velvet, serving to set of the glory of his doublet even further. Observe also his pouch and calf-high boots. The ruff at his neck is a separate piece, not part of his shirt.